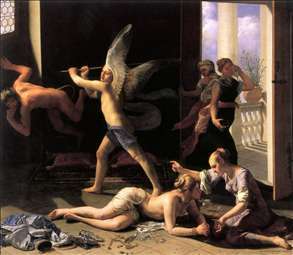 Cagnacci was an interesting Emilian painter of the mid-seventeenth century. Like many others from his region, he was actively involved in rediscovering classical Antiquity. He also holds a special place in the history of art because he moved to Vienna and so exported the latest classical style to the German-speaking world. 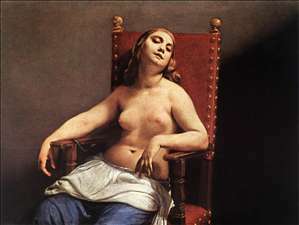 Cagnacci had been Guido Reni s pupil and tended to combine references to classical models and to Raphael s work with his own lively interest in the type of daring perspectives and brilliant compositions that the new Baroque style favoured. We can see this phase of his work in the huge canvases in Forli cathedral painted early in his career. 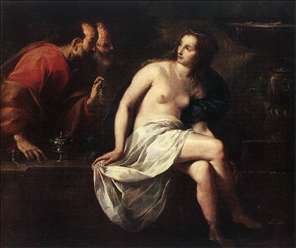 In 1650, a journey to Venice added more colour to his palette and opened up the range of the subjects he handled to include sensual scenes with seductive half-naked young girls. This type of composition was much sought-after by collectors and opened up international avenues. 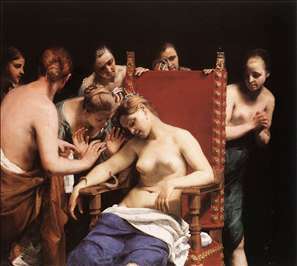 Cagnacci s move to Vienna in 1658 put the seal of success on his painting. 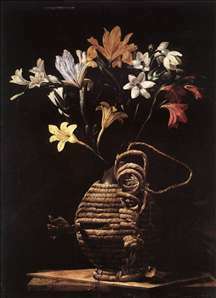 See more details about "Flowers in a Flask"
See more details about "Martha Rebuking Mary for her Vanity"
See more details about "Susanna and the Elders"